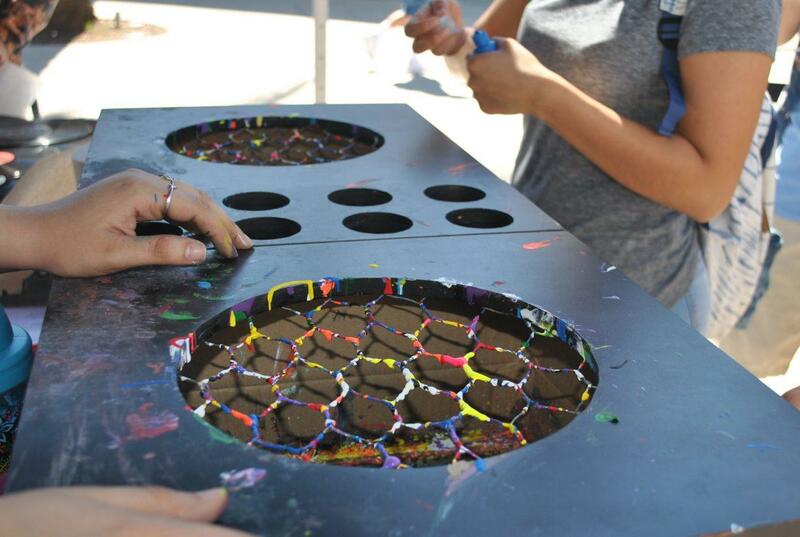 The University Student Union’s Plaza del Sol was filled with creativity Thursday afternoon. Students lined up to paint vinyl records, get messy as they tie-dyed socks and others relaxed while they painted a cityscape. The USU hosts “All That Art” every year, in which students can display freestyle creativity and art skills. 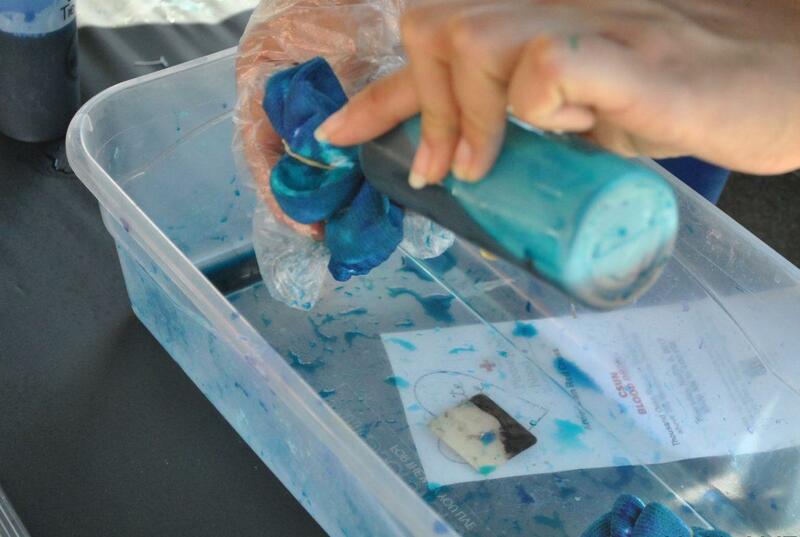 Students were able to sign up for art lessons, provided by Blank Canvas from Thousand Oaks. 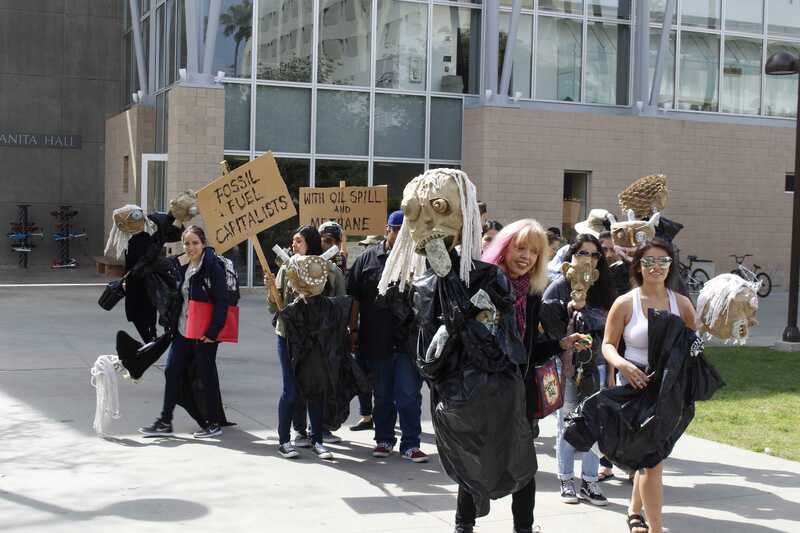 Art instructor Connie Schuh, has participated in the event for three years by teaching CSUN students how to paint. This time she taught how to paint a city skyline. The art class held three, forty-minute sessions. The most popular booth was the Vinyl Record Spin Art. 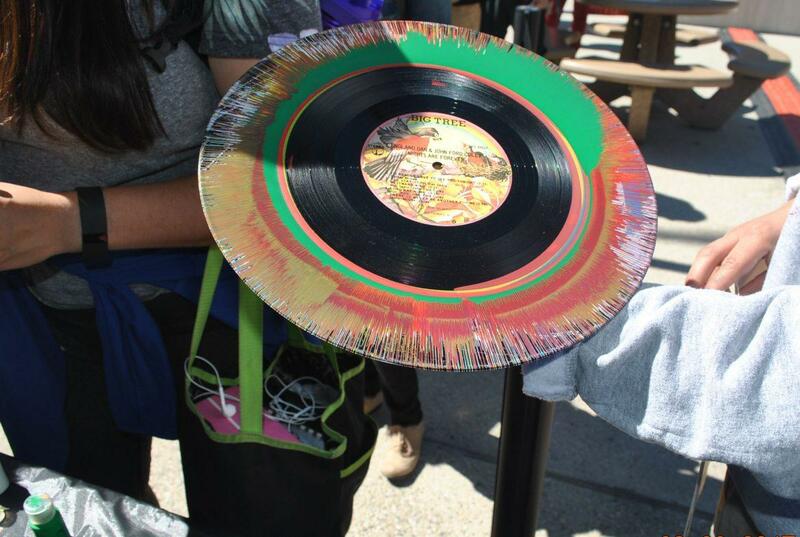 Students were able to choose a record, place it in a box with a spinner and drop paint as it spun. The outcome: splashes of colorful paint covering the record. The neighboring booth provided students with a pair of small, medium, or large socks. These undergarments were to be tied together with rubber-bands and drop paint onto them. The result was a new pair of tie-dyed socks for the creator to keep. Courtney Brubaker, a student event assistant for the USU, was in charge of this year’s “All That Art.” According to Brubaker, the event teaches students different types of art with different media. “It is something fun to do that they can take home,” Brubaker said. In addition, students had the opportunity to enter a raffle for a chance to win a spray paint art piece. The USU also provided participating students with pizza, juice and water.